Fat free cooking is not a myth. Many of us associate the taste of food with usage of oil and fats. Much as, I agree that oil / fat does add to the taste and flavor when used in moderation. I also believe oil / fat free food need not be tasteless and bland. Also, by oil free food we refer to food where no additional oil is used as a fat. We must remember that there is natural fat that is present in many commonly used ingredients. 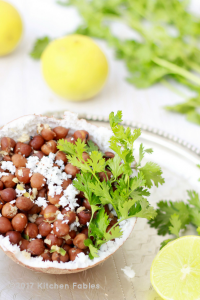 In this Brown Chickpea Sundal Recipe, while we have not used oil for tempering, the Grated coconut releases its natural oils and adds to the flavor. Due to changing lifestyles, our food habits are also changing or shall I say need to change. I prefer eating the traditional home cooked food with less oil without compromising on taste. While cooking, one ingredient that I am always very stringent about is oil. Here, I must also mention that not all fats are bad, and therefore while I have reduced fat in cooking, I have added nuts, flax seeds in my family’s diet. 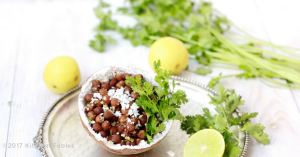 Now about Brown Chickpea Sundal, as I mentioned in my earlier posts of Kala Chana Soup brown chickpeas are excellent source of Protein , Dietary Fibre, Vitramin C, Iron and calcium. 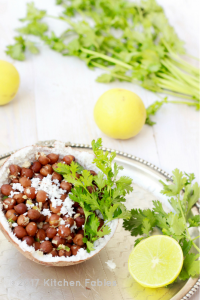 I have grown up seeing brown chickpeas cooked without onion garlic offered to God and served as a Prasadam in North India. Interestingly, South India also has a similar tradition. The preparation in South is a little different than the North Indian Preparation. 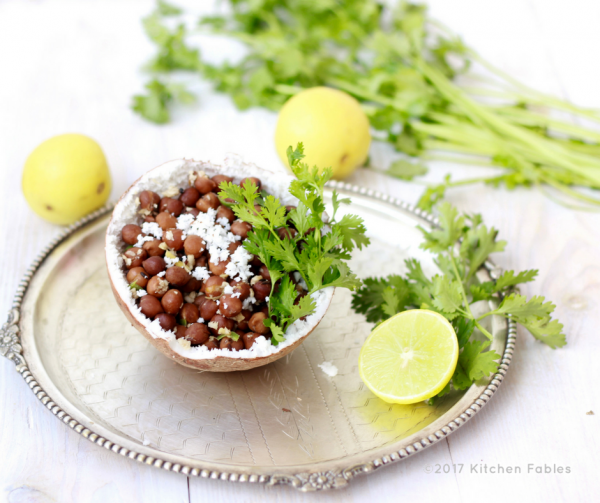 I prepare Brown Chickpea Sundal , as an evening or mid-morning snack. Wash & Soak Chickpeas in water for 6 to 8 hours. Pressure cook the soaked chickpeas with water 2" above the Chickpeas. After 1st whistle lower the flame and after another 2-3 whistles switch off the gas. In a Pan Dry roas Mustard seed, for 3-5 minutes , till they start crackling. Add cumin and roast for another 2-3 minutes. Add Chickpeas , ginger and green chilli. Add 2-4 Tablespoon of Chickpea water. Cover the pan with a lid and let the chickpeas cook for 3-4 minutes. Switch off the flame.